With Father’s Day coming up, I’ve been spending some time reflecting on my own father’s powerful influence in my life. 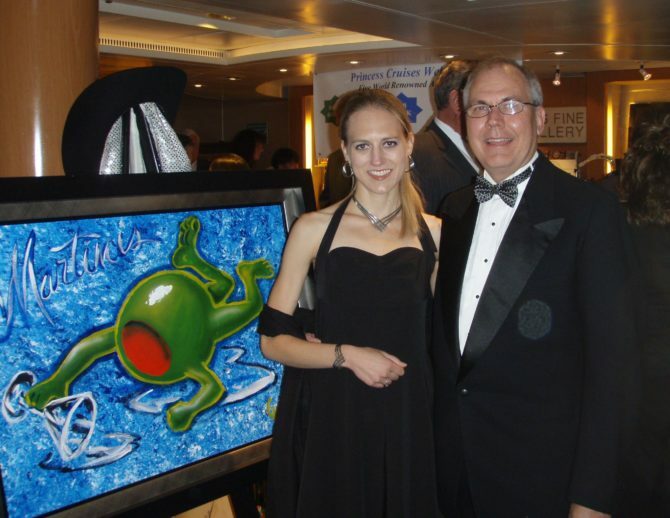 My dad makes his living as a loan officer, but he is one of the best teachers I have ever met. Growing up with him was a perpetual learning experience, and to this day he continues to teach me—explicitly, and by example—about life, faith, love, and all the other important things. 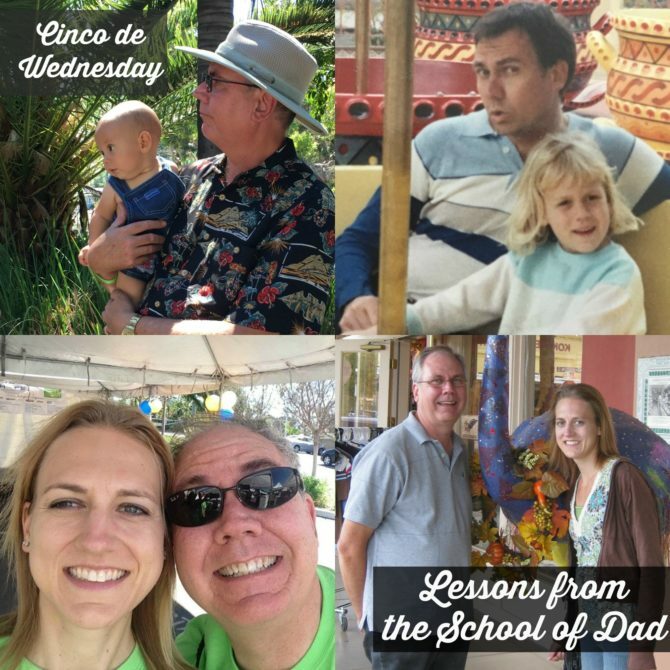 I could spend a lifetime’s worth of blog posts sharing the lessons I’ve learned from my dad through the years, but in keeping with my cinco theme for Wednesdays, here are five that stand out. My dad takes his role as spiritual leader of our family very seriously. 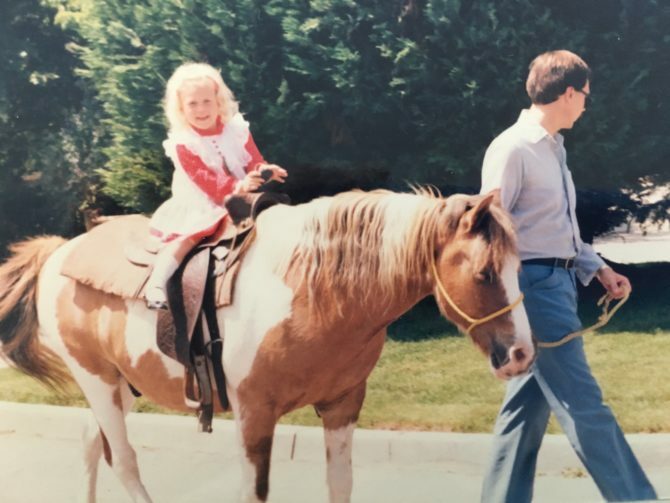 In our home, faith wasn’t just for Sundays; under Dad’s guidance, we prayed together as a family, read and discussed the Bible, and were proactive about incorporating our faith into our daily lives. My dad nurtured my personal relationship with God, and showed me how to be Jesus to those around me. To this day I am inspired by his ability to share his faith with everyone he knows, from the hardened criminals he meets in his prison ministry to the lonely widow next door. 2. Look for the message. 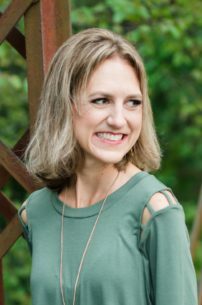 I can’t remember experiencing a single television show, sermon, movie, or book without receiving this question from my dad: “What was the message?” Dad taught me to be intentional about the content I consume, spotting overt and subtle messages and then evaluating their potential for application. The messages may or may not have been in line with our family’s values, but Dad helped me to weed out the negative while salvaging the good. I have always spent way too much time worrying about what others are thinking of me. (I’m sure I’m not alone in this.) When I did this as a teen, Dad would remind me that people probably weren’t thinking about me nearly as often as I worried they were, and that their opinions were really none of my business anyway. I think of my dad’s words often when I find myself stumbling into a people-pleasing trap. My brother and I both cite this mantra as the number one piece of advice we received from our dad. In our home it was okay to stumble and even fail, and Dad would cry along with us when things got hard, but giving up simply wasn’t an option. I’m grateful for Dad’s constant encouragement to push through the tough times. 5. Relationships are built upon shared experiences. Whether we were playing hide-and-seek at the post office or restoring a truck together, my dad saw every experience as a bonding opportunity. He taught me that the activity itself isn’t important: simply being together and sharing the moment is what matters. This has transferred to my adult relationships as I’ve learned that I don’t necessarily need to have something in common with another person to connect to them. 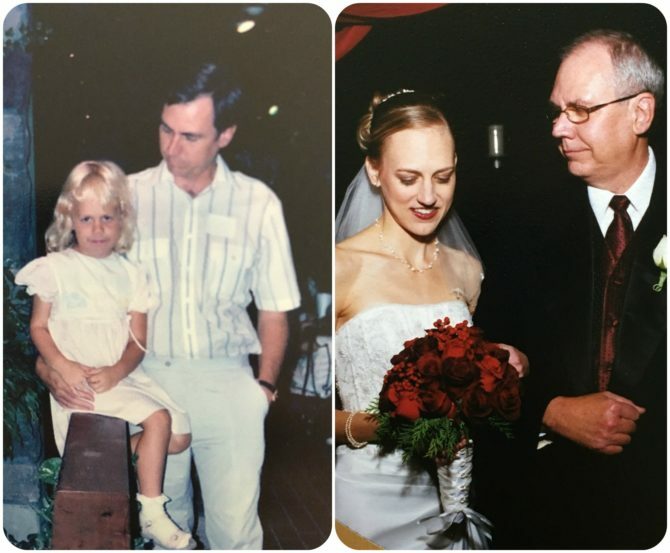 I’m thankful for these lessons I’ve learned from my dad. I’d love to hear something that your dad has taught you! And don’t forget to share it with HIM this Father’s Day!